Nearly 45% of children are either overweight or in danger of becoming overweight. By the year 2016, the numbers could be as high as 75%, according to the CDC. Kids today have developed some risky habits that put them in danger. Children are less active at home and at school and are eating more junk food than ever. The fact is, the fitter the child, the better their brain works- we need to get kids moving! PANELS ARE SOLD INDIVIDUALLY. EACH PANEL IS 4'X8'. Call 1-800-875-9145 to speak with one of our fitness advisors or go to our Chat with any questions you may have. Our staff is available to help you any way we can. 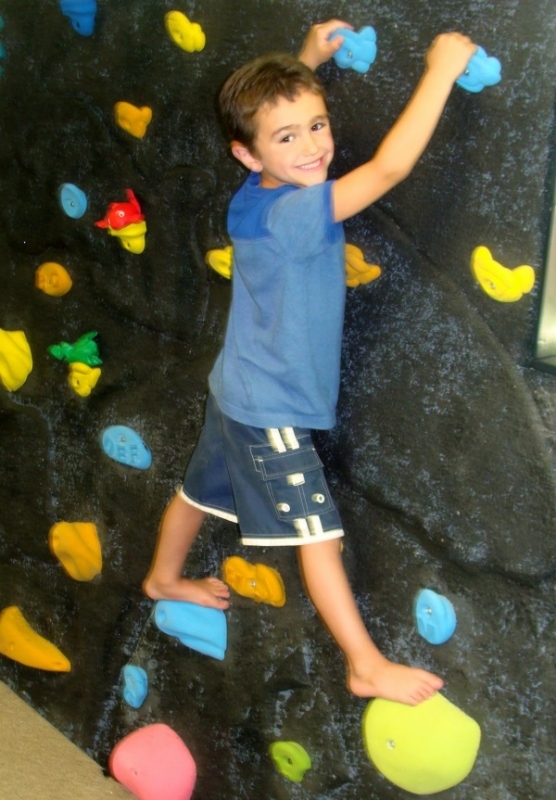 Order your Kidsfit 598 Deluxe Climbing Wall Panel from FitnessZone.com today!